How Much Does Senior Home Health Care Cost? Securing a quality senior home health care service is a priority for most people with elderly parents and relatives. However, the cost of securing the best care depends on a number of things including the type of medical care and the geographical location. It is important to know the kind of charges you need to expect. 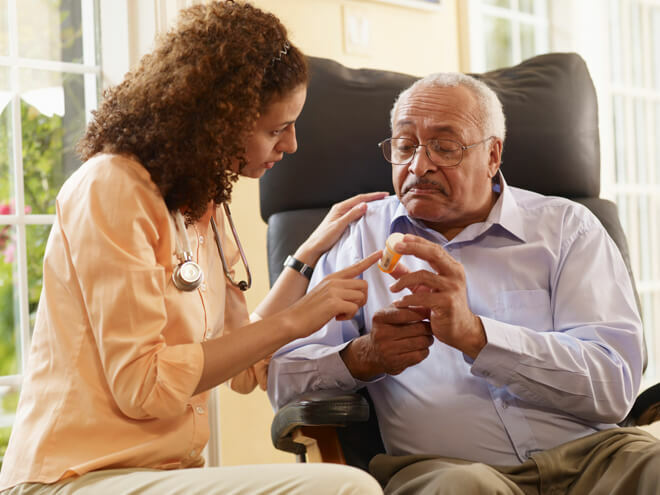 The following are some of the determining factors that influence the cost of elderly home health care without compromising the quality of services. How Much Is The Cost Of Elderly Home Health Care? Before committing yourself or your loved one to senior home health care, all cost considerations must be evaluated carefully. Most people are willing to pay the minimum charge of $1,500 when they do not want to spend too much money on an old age care plan. However, certain individuals who want the best senior home health care pay sometimes up to as much as $6,600 especially if they have been saving all their lives for the best care. The average cost most Americans spend on senior home health care is around $3,500. When an elderly person is enrolled in senior health care, he or she is not only cared for medically. Elderly persons are also assisted in the maintenance of proper personal hygiene, cooking, laundry, and transportation. The frequency of the service provided will also determine the costs incurred. The rate of non-medical care varies from one state to another with most states rates ranging from $15 to $26 per hour. Find out the most affordable rate for yourself. It is also important to note that the average cost of elderly home health care depends on the agency involved. In some special cases, the charges may reduce by 20% to 30% depending on the arrangement. If it's time for you or a loved one to enter senior home health care, why not compare prices of multiple elderly health care facilities. Decide which needs of yours would require assistance so that once you speak to a professional about the cost of elderly home health care you will know what service or package best suits you and your pocket. Senior homes that include all of the above services in their package will charge an average of $20 per hour. Most homes charge an hourly rate of $16 to $27. The rate also varies depending on whether the senior home health care service is an assisted living facility or a nursing home. This kind of senior home health care arrangement provides everyday basic health services. In addition, it includes recreational and residential services. The cost of services in this system is based on a monthly fee. The level of attention that the residence requires will also affect the charges. This involves 24-hour health care service and maintenance. It encompasses housekeeping, social, and medical needs. The average cost of this kind of senior health care is $220 a day. Additional costs may be incurred on different senior health care plans. The most important thing is to ensure that you are getting the best value for your money. With so many options at your disposal, the choice rests on your personal preferences. Want to find out what senior home health care will cost in your area? You can receive a custom quote specifically tailored for your needs and budget. Simply enter your home zip code in the space provided on this page to receive a 100% FREE quote from a registered local senior home health care facility near you. There's no obligation to sign any contracts, and it's a great way to decide what is possible within your budget.